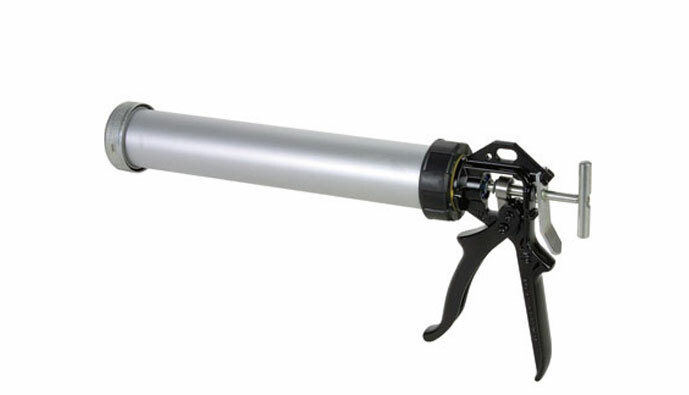 Our Jumbo Quart gun is perfect for applying our single tubes of Green Glue Noiseproofing Compound or Green Glue Noiseproofing Sealant (SilenSeal acoustical caulk). 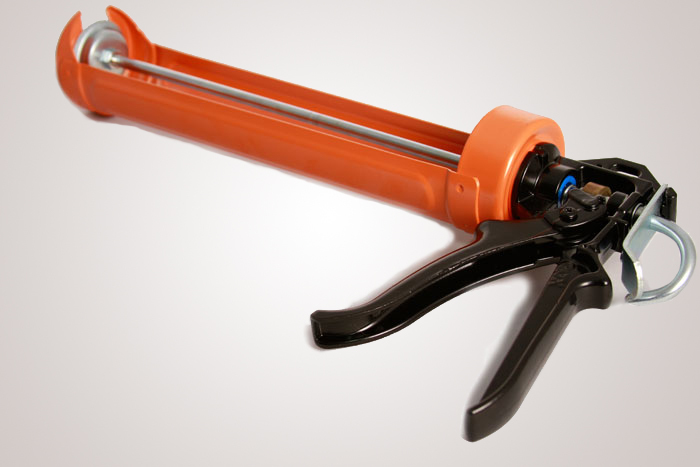 These guns have a high mechanical advantage and thumb-activated instant pressure release.They are easy to use and very comfortable even in high volume applications. Long working life: High quality, far out-lives imitators. Catch Plate - Sintered Steel. Barrel Turns - Application Around Corners. Thumb Activated Instant Pressure Release. Fast to use and easy to load. Works like a regular caulk gun. Load 28 oz. tube of green glue and squeeze trigger to apply.